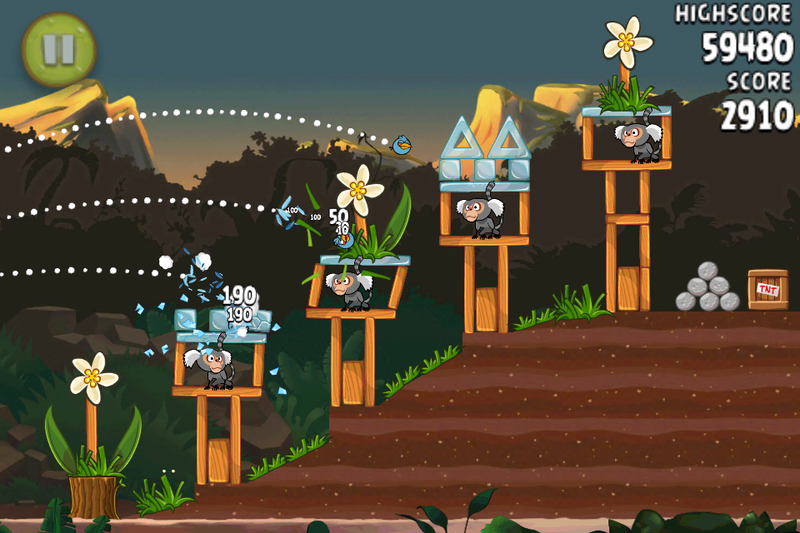 Angry Birds Rio is the latest game in the Angry Birds series developed by Rovio. Angry Birds, for those that don’t know, is an iOS game where you shoot birds at pigs which are on top of very suspect forts. 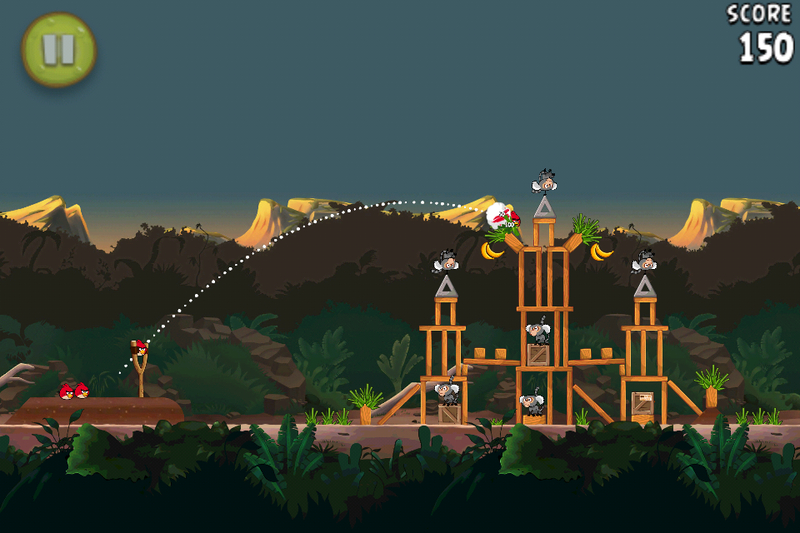 Angry Birds Rio is a continuation of that game where instead of killing pigs, you’ve got to break fellow birds free from cages in the first world, and in the second world you are seen defeating monkeys. It may sound simple but it is possibly one of the most addictive games I have played for a long while. The first time I played Angry Birds I have to admit I wasn’t its largest fan, but as the levels got more difficult and I was not getting 3 stars as easily I could feel my self being strung in by the addictiveness that is Angry Birds. Angry Birds Rio is set in, as you may have guessed, Rio de Janeiro and it does look absolutely stunning on the retina display. The menus are crisp and clean, they are also exceptionally easy to use. The game comes with 4 chapters with 2 more set to be added to the game. Angry Birds Rio includes several types of birds, all of which have been introduced in the previous Angry Birds games but it also includes a few new birds in later levels. The game also includes a couple of boss fights from the movie which is a nice to see. Angry Birds Rio is a fully upgraded version of the original Angry Birds game, and is a must buy for any fan of Angry Birds. Even if you have never played Angry Birds before the game is a great introduction to the series. Angry Birds Rio is available now on the App store for £0.59 for iPhone and iPod, and £1.19 for Angry Birds Rio HD for iPad only.